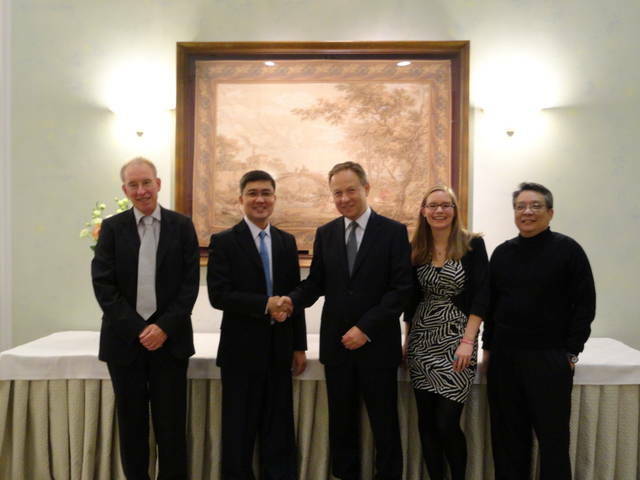 The Filipinas Copyright Licensing Society, Inc. (FILCOLS) recently signed bilateral agreements with America’s Copyright Clearance Center (CCC) and the UK’s Copyright Licensing Agency (CLA) during the International Federation of Reproduction Rights Organizations (IFRRO) World Congress in Slovenia. Starting 2012, the agreements empowered FILCOLS to license US and UK works and collect fees for the photocopying of potions of books and journals for internal, institutional use. The systematic and massive photocopying of copyrighted materials for the use of thousands of students in academic institutions without the authorization of authors and publishers violates copyright law. Business organizations also photocopy large portions of books and journals for the training of their employees. These unauthorized photocopying competes with the normal sale of the works which results in loss of income for authors and publishers. FILCOLS is the national reproduction rights organization (RRO) organized by the Book Development Association of the Philippines (BDAP) through the support of the Intellectual Property Office of the Philippines (IPO PHL) and the National Book Development Board (NBDB) in 2008. Aptly termed Milestones Bilateral Agreement, the CCC agreed to a repertoire exchange with FILCOLS with previously agreed upon milestones like awareness campaign for educational institutions, crafting of distribution guidelines, organization and licensing plans. The CCC-FILCOLS milestones bilateral agreement was signed by CCC CEO Tracey Armstrong and FILCOLS executive director Alvin Buenaventura. CCC’s International Director Bruce Funkhouser discussed the milestones with FILCOLS executive director Alvin Buenaventura and legal counsels in Manila during the Manila International Book Fair. Funkhouser was one of the copyright experts invited to speak at two conferences organized by FILCOLS during the book fair. Funkhouser is keen on helping FILCOLS take off because he shared that the US RRO also had a small staff and a difficult start in 1978. Due to the proliferation of photocopying machines and the large-scale illegal copying of books in academic institutions and businesses in the US, authors and publishers asked help from the government to protect their livelihood. The CLA-FILCOLS pilot bilateral agreement was signed by CLA CEO Kevin Fitzgerald and FILCOLS executive director Alvin Buenaventura. Present at the signing were FILCOLS board member and award-winning author Charlson Ong, CLA international rights executive Madeleine Pow, CLA legal counsel Martin Delaney, Publishers Association international director Emma House, and CLA independent chairman Tom Bradley. The Pilot Bilateral Agreement is made up of a two-part program Education Campaign and Monitoring Activities which FILCOLS crafted. CLA approved the programme after many revisions. The Education Campaign focused on identified academic institutions and the creation of IP student organizations. FILCOLS will join the NBDB in its Academic Publishing Conferences and the organization of the Manila International Copyright and Education Conference. The Monitoring part will begin with the establishment of the Copyright Monitoring Group to monitor illegal copying activities and coordination with the Anti Book Piracy Coalition (ABC). Established in 2010, ABC is an interagency group composed of the NBDB, IPO PHL, National Bureau of Investigation, Philippine National Police, Optical Media Board, BDAP, and FILCOLS. “The Pilot Bilateral Agreement which CLA signed with FILCOLS is the first of its kind. This is the solution to assist collective management in developing markets,” Fitzgerald said. The eyes of the copyright world are set on the Philippines. FILCOLS joined the Brussels-based IFRRO in 2009. FILCOLS is supported by the Norwegian Copyright Development Association (NORCODE) and Kopinor, the Norwegian RRO. CCC’s Joe Allen co-founded IFRRO in 1984 together with Kopinor’s John-Willy Rudolph, and STM’s Paul Asser. The Scientific, Technical and Medical Publishers specialize in the publication of advanced science, technology, and medicine. The copyright of this article belongs to Alvin J. Buenaventura. Kindly email filcols@gmail.com if you wish to repost or publish it for free. Thank you.